What do you say about DC Comics’ Vertigo imprint in general and the Sandman comic and world of characters in particular that hasn’t been said before, even for a revitalization of both brands as seen in this week’s The Sandman Universe #1? 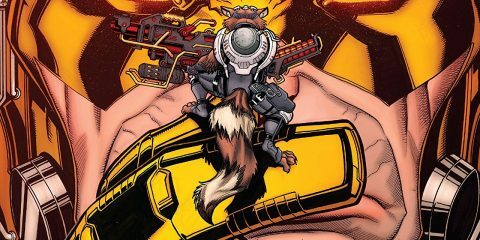 One notion that repeatedly cropped up while reading that first issue is a twist on an old cliché: You can, it seems, go home again. Since the conclusion of creator Neil Gaiman’s original Sandman run 22 years ago, there have been a number of visits to the world Gaiman crafted by other artists and writers—from series such as Lucifer to one-shot comics focusing on characters from the Sandman world—and by Gaiman himself in works like The Sandman: Endless Nights. However, there has not necessarily been a cohesive line of Sandman-centered series that interconnect all of the imps and angels and gods that have sprung forth from Gaiman’s fertile imagination. 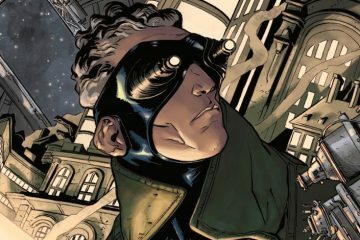 With DC Comics making a push to revitalize its Vertigo imprint, it makes sense, then, that the publisher would look back to the comic and creator that became the unofficial faces of Vertigo, Neil Gaiman and Sandman, creating an imprint-within-an-imprint with a Sandman Universe of titles that Gaiman himself will curate. 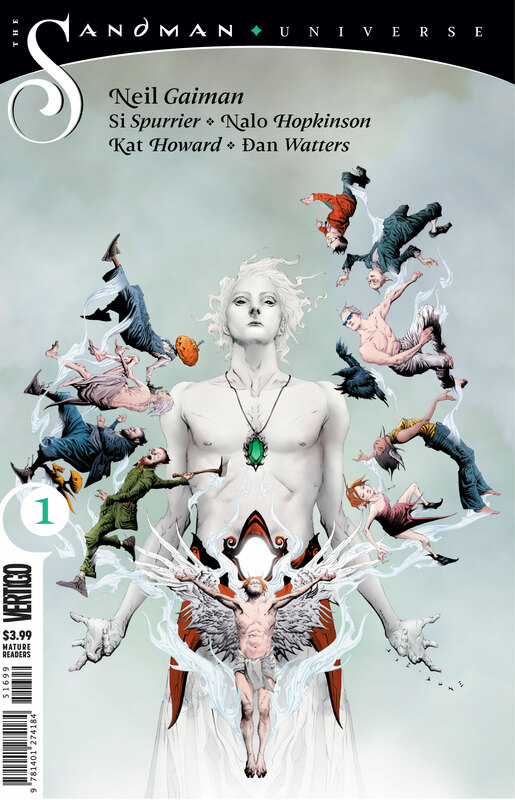 That push makes its first step with The Sandman Universe #1, which looks once again to the Lord of Dreams and the world he surveys; the book is plotted by Gaiman and will serve as a jumping-off point for the rest of the series in the Sandman Universe imprint. 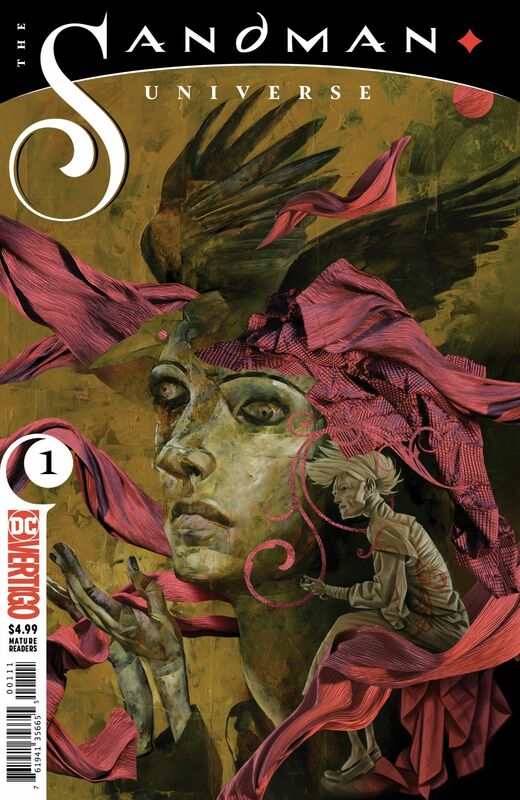 The respective creative teams of those books have constructed stories within this first issue that introduce readers to the protagonists of their books: The Dreaming by Bilquis Evely and Simon Spurrier; House of Whispers by Nalo Hopkinson and Domonike Stanton; Lucifer by Dan Watters and Max Fiumara and Sebastian Fiumara; and Books of Magic by Tom Fowler and Kat Howard. The Dreaming—the realm where denizens of all realities and worlds go when they dream—is in a state of calamity. A place that has long been secure from outside threats, the world has developed a fractured crack in the state of things, literally breaking the Van Gogh above and extending down to the kingdom below. With chaos abounding, the assembled key figures of the dreaming—from Cain and Abel to Mervyn and Eve—implore Lucien, the librarian of every book never written, to summon the Daniel the Dream King, who has taken a short walkabout outside the Dreaming. With the situation dire and fearing it will worsen, Lucien dispatches Matthew the Raven to seek out Dream to avert the escalating crisis. 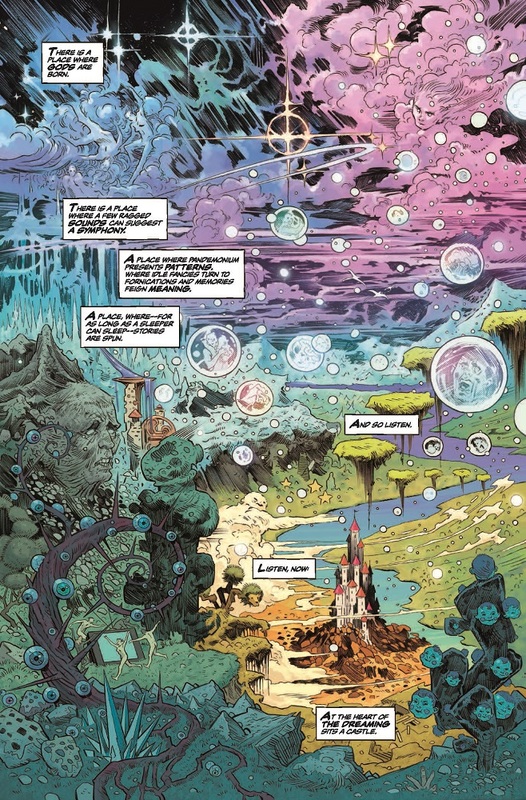 While Matthew flies from one place to another, attempting to locate the Dreaming’s missing king, readers are granted a survey of the people and places that will play key roles in the Sandman Universe line of books, from Books of Magic’s Tim Hunter and his new school to the new status quo for the fallen angel and sometimes-nightclub owner Lucifer. 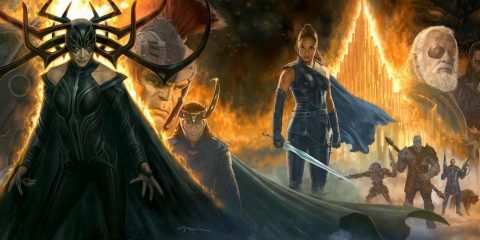 In addition to familiar faces, however, we also are offered a peek into a new realm of the Dreaming and hints to what that will mean for the waking and sleeping worlds. 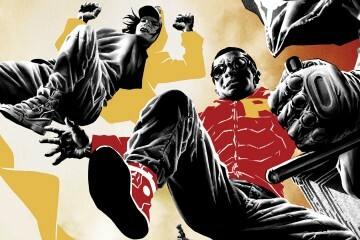 It’s a smart narrative choice, using Matthew as a guide to those various locales, as he can flit with relative ease from one vista to the next, so that older and newer readers can either re-familiarize themselves with the Sandman universe or get a feel of the characters and its real estate for the first time. Of course, that survey feels cohesive in large part due to the guiding hand of Gaiman, who not only created the large majority of the menagerie of players in the first issue, but built much of the worlds in which they live from the ground up. Under his hand, the Dreaming and related realms feel both familiar and renewed, lived in and magical—as if anything can still happen and a world we have known for decades can still surprise, just like Gaiman’s original Sandman run itself. The writer knows every nook and cranny of Lucien’s library, every ruffled feather of Matthew’s breast. And while others ran with his boy magician Tim Hunter or his version of Lucifer in their own tales and comics, Gaiman set the stage and tone that other writers would use as a template. 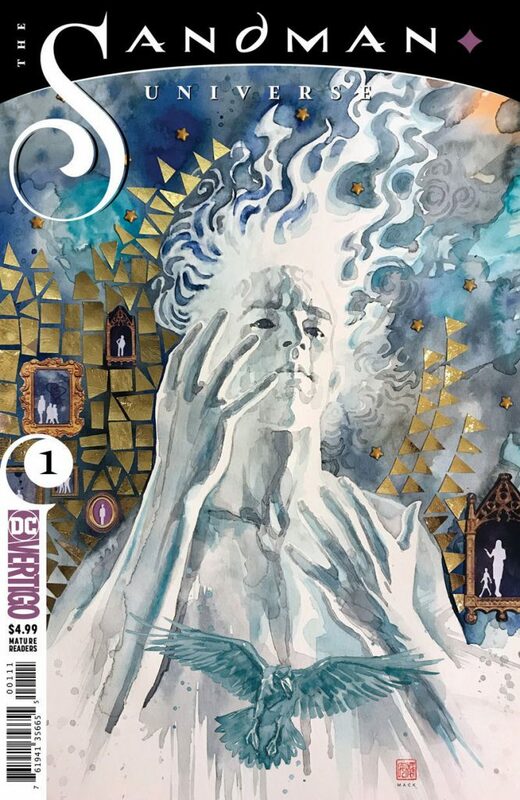 The first issue is, in part, a jumping off point for the individual creative teams on the forthcoming Sandman Universe books to set up their stories, but Gaiman’s plot helps keep those stories tight and with a cohesive flow from one tale to the next. That framework helps to free up the various creative teams to focus more on introducing the worlds they’ll shepherd in their respective new series debuting in the fall. And while there might be a fear that those teams would treat such treasured characters as Matthew and Mervyn with such delicacy to the point of mimicry and detriment to the story, none of the vignettes featured in issue #1 display any danger of that ever being the case. The stories feel like early Vertigo and the original Sandman run while being their own animals. This wholly the result of the stable of industry professionals the line of books has assembled. The Fiumaras have a horror pedigree that extends to work on such high-profile books as Hellboy and their Lucifer in this issue has the creepiness of the Sandman universe’s fallen angel’s first appearance when artist Kelly Jones rendered a lightbringer who was equal parts beautiful and downright menacing. Watters’ dialogue gives Old Scratch a dignified cleverness that threatens to comfort or cut at any moment. With the House of Whispers vignette, Stanton and Hopkinson hints at a layer of the Dreaming we have yet to experience, one that seems to circumvent the Dream King’s purview. 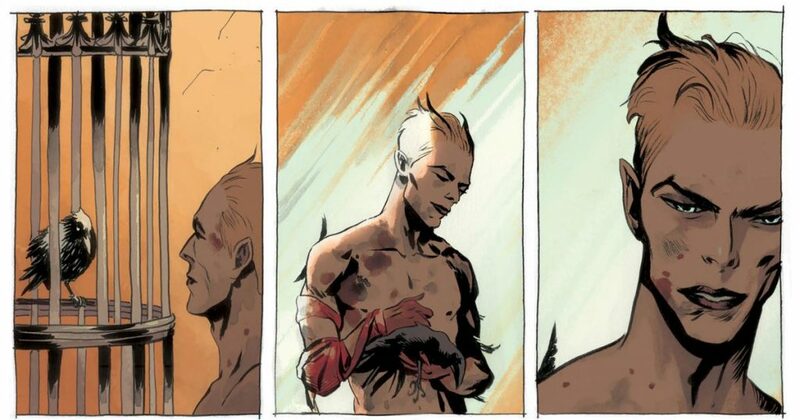 Regardless if that’s the case, it adds a layer of the Sandman mythos we haven’t seen explored to any great degree and brings a tonally different experience that is more than welcome. And Stanton’s Alligator King is downright unnerving. 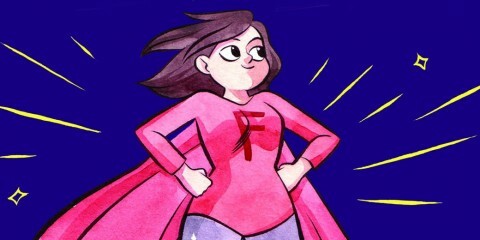 In Evely, Vertigo has a treasure who can build atmosphere and balance characterization like few in the comic book industry. 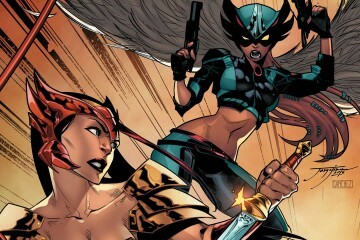 Her characters breathe and fill the panels, building on Spurrier’s always-deft dialogue and staging that makes The Dreaming a must read when the first issue hits newsstands. Tim Hunter—the boy who will either be existence’s greatest magical champion or its most fearsome threat—feels appropriately grounded and human in Fowler and Howard’s hands, living a life that is ordinary and often too fantastical at once. As much as we worry what the duo will do to poor Tim, judging by their offering in The Sandman Universe, it’ll be difficult to look away. As much as this first issue is about Sandman and the related characters of his world, it’s also very much about the revival of the Vertigo imprint itself, one that will extend beyond the Sandman Universe of books. Sandman became one of the most revered titles and the most recognizable face of Vertigo all those years ago, and there is a sense that releasing The Sandman Universe #1 as its opening act is a cue to readers that Vertigo is committed to a rejuvenated concept that respects what came before, but digs deep to grow something new. This is a why the crack in the Dreaming at the beginning of the issue feels very much like a metaphor. The shell of the realm might be breaking to pave way for the new without destroying the foundation. You can go home again, even if that home is different than what you’re used to experiencing. The Sandman Universe #1 is on sale now from DC Comics’ Vertigo imprint. 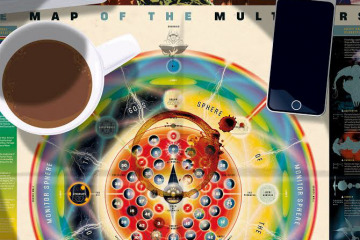 There is a sense that releasing The Sandman Universe #1 as its opening act is a cue to readers that Vertigo is committed to a rejuvenated concept that respects what came before, but digs deep to grow something new.